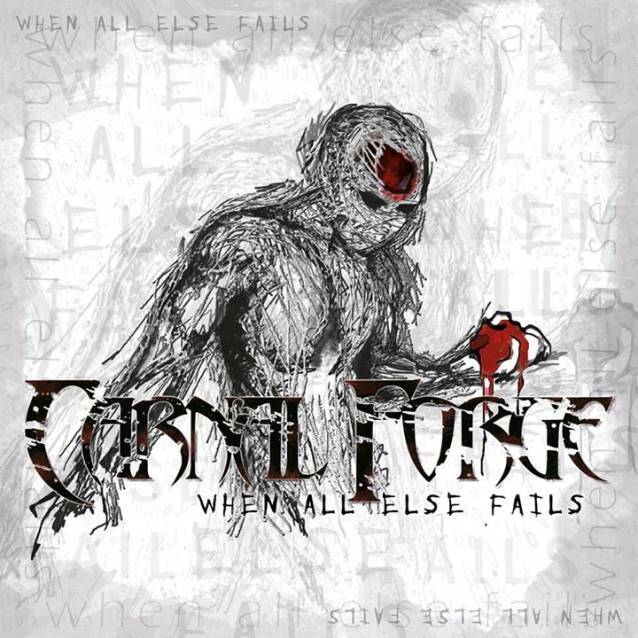 Has it really been 12 years since Carnal Forge’s last full-length, Testify for My Victims? Of course, the band ceased to be for a few years in that period, and released a few songs here and there but Gun to Mouth Salvation finally sees a big addition to the band’s catalog. Those who have stayed along for the ride in those years between should find themselves rewarded with what the band has done here. For starters, the sound does lean more towards Testify for My Victims that the band’s early, guns-ablazing from beginning to end approach that many still salivate over. That’s not to say that there aren’t any ‘thrashterpieces’ to be found, with the energetic cuts like “Endless War” and “Hellride” really hitting the accelerator with ease. 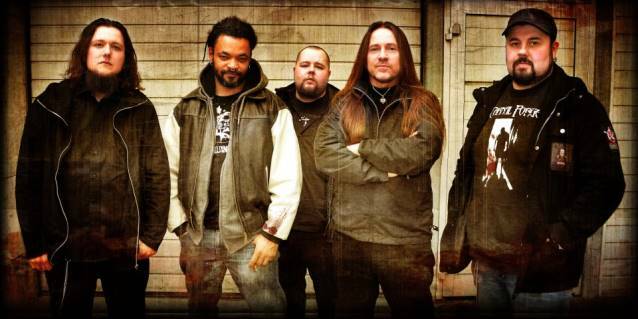 But groovier cuts such as “Bound in Flames” and “Aftermath” help to balance the thrashy edges with some deeper melodies. All of this is done almost entirely without a clean vocal presence (something that was far more prevalent on Testify), and it still gives the band some memorability as you move between tracks. 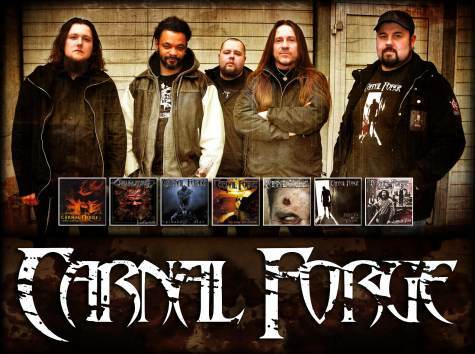 The most important weapon in Carnal Forge’s arsenal is still the riffs, and they deliver in spades. From the slower and crunchy (“Sin Feast Paradise”) to hyperthrash (“Reforged”), there’s plenty of thick riffing to sink your teeth into with each song. The Jari and Petri Kuusisto guitar team has not diminished in age. 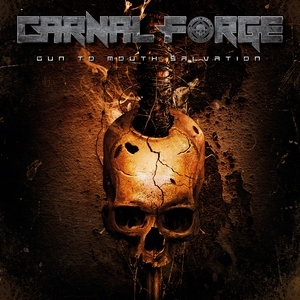 Carnal Forge has always been about high energy and impact, and Gun to Mouth Salvation delivers the quality you would expect from the band. An exhilarating experience that one can crank up and enjoy, from the thrash-driven riffing to the shout-along friendly vocals (from newcomer Tommie Wahlberg), it’s hard not to get into the experience fully. 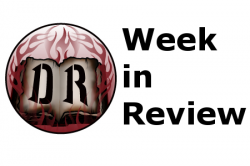 A welcome return to the fold from Carnal Forge, and one that should excite fans and bring in some death/trash newcomers.